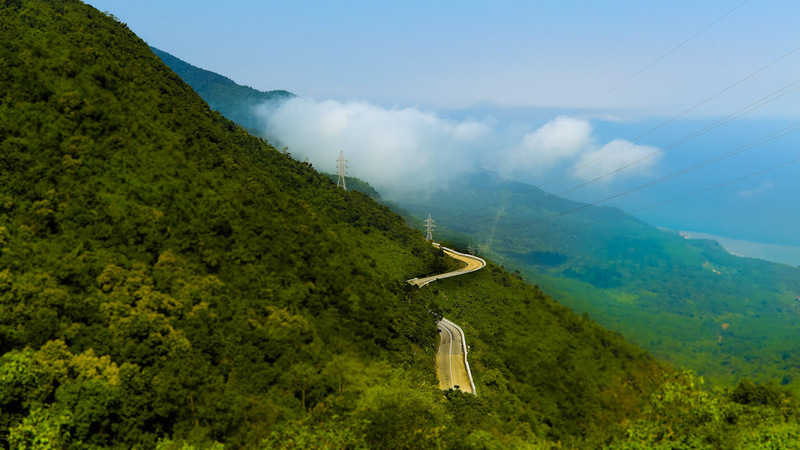 Vietnam’s picturesque and varied scenery is a great attraction for most foreign visitors. The renowned HaLong Bay, already world famous as the eighth wonder of the world, is a mantel of nature consisting of 3,000 islands of Kar relief that form a 1,500 sq.km. archipelego. The same geological formation is also found inland around Nam Dinh. 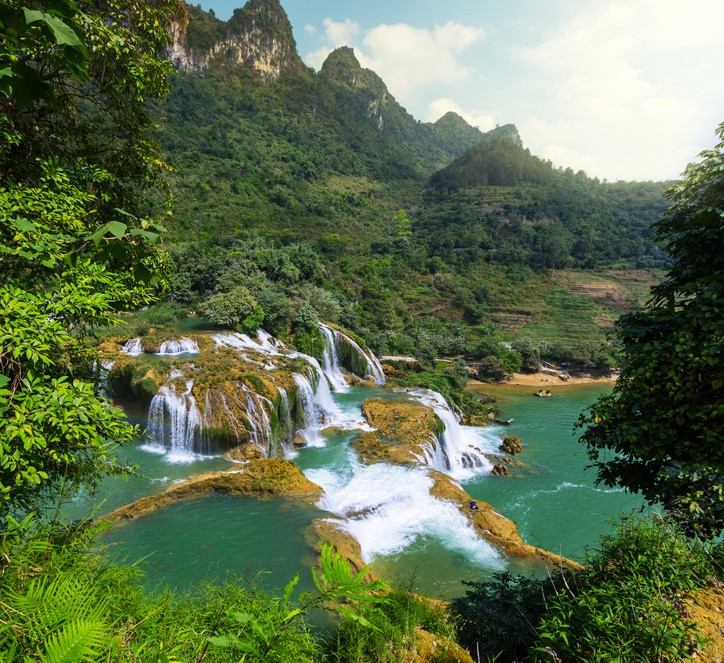 This area is known as ÒInland HaLong.” The Coastline is dotted from North to South with numerous beaches with peninsulas and islets forming archipelagos. The relief of the high plateau, interspersed with deep valleys, offers splendid panoramas over irrigated rice field terraces painstakingly carved out by man. The Annamlte Range, which rises to 3,100 meters at its highest point, is a wonderful, scenic excursion area. Besides having a highly varied natural setting, Vietnam offers a wide range of ethnological, artistic, cultural and religious resources that are currently drawing the interest of travelers who yearn for connection with ancient cultures. 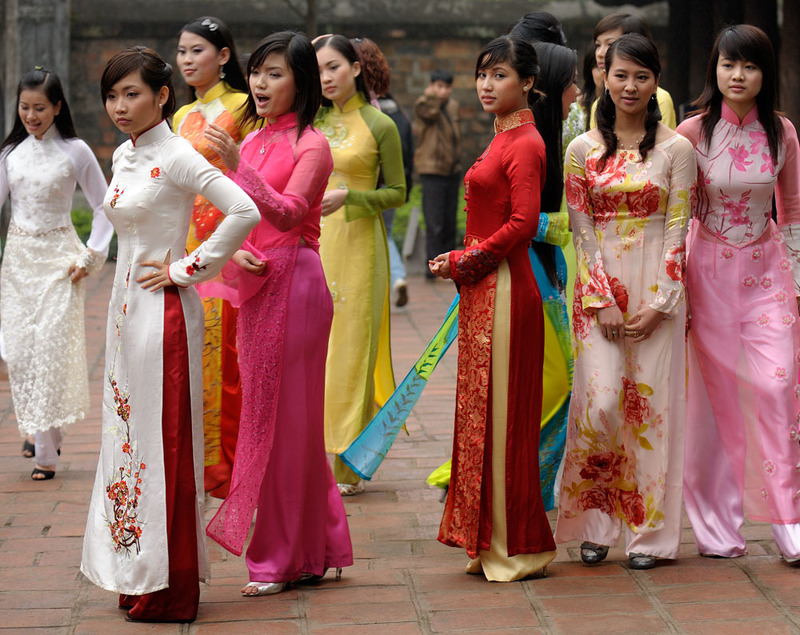 Vietnam’s cultural diversity is represented by 54 distinct cultural groups. While the ethnic majority, the Kinh, mainly occupy the rich plains areas and cities, minority groups generally inhabit the mountainous regions, generally living in small, geographically dispersed groups. The minorities tend not to be assimilated into the mass of the population and, accordingly, retain their customs, mores, and traditions. Most ethnic groups retain a simple, nomadic lifestyle. Many of their dwellings are erected on pilings, the people wear distinct styles of dress, retain ancient beliefs and cultural customs; and their language represents a variety of dialects. Vietnam’s ancient architecture style blends admirably with the landscape. The concern for harmony, prompted by considerations that are both philosophical (design and juxtaposition of the various building elements) and aesthetic, lends powerful expression to an architecture that is full of charm and mystery. Brick is a particularly important construction resource whose richness and originality has been exploited to the full by Cham art, principally in the areas of Po Nagar, Nha Trang, My Son and Da Nang. The buildings of a religious character: Dinh, Chua, Den, Van Mieu; of a funerary character: the royal tombs; and fortified temples are further examples worthy of close attention. It is hoped that enhanced national and international awareness will cause these ancient architectural resources to be restored and receive the prominence they deserve. With its variety of forms and styles, Vietnamese art is typified by virtuosity and an appealing delicacy. The decorative effect reflects simplicity and quality to the superfluous and grandiose. 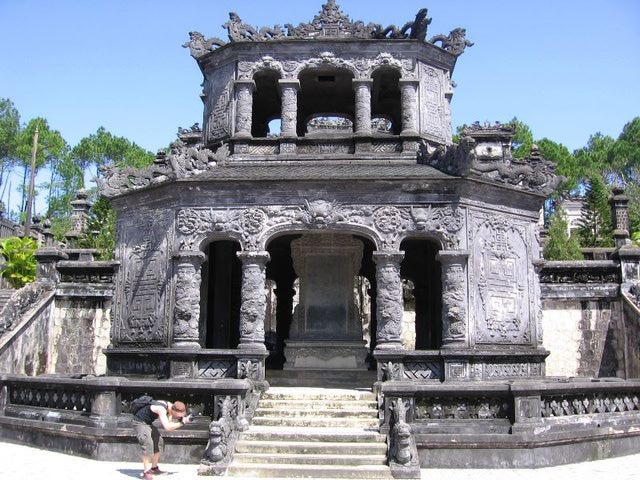 The influence of Chinese art (the Imperial Tombs at Hue) are strongly reminiscent of the tombs of the Ming Dynasty. Some are overly obvious polychrome works in extremely vivid colors that depict disconcerting imagery. Some, with the inspiration of Buddhist art from India, depict the worship of other gods and legendary heroes. Champa art has left its splendid stamp of refinement and originality on the center of the country (My Son and Hoa Lu areas). Skilled contemporary artists, drawing on their rich heritage, have applied numerous traditional techniques to contemporary art such lacquer work paintings, furnishings and ornaments; silk paintings, and mother-of-pearl inlay employing purely Vietnamese techniques. Handicrafts also take many forms: basket work, ceramics, pottery, embroidery, and engraving, all inspired by village traditions and culture. Although a great many Vietnamese festivals have all but disappeared, the most important that remains is Tet Nguyen Dan or ÒFestival of the First Year,Ó that lasts for seven days and sometimes longer in rural areas. Tet, which is primarily a family festival, is comparable to Christmas in the West, gives rise to a great many get-togethers and at considerable expense.The Tet Trung Thu (mid-autumn) is festival reserved for children. 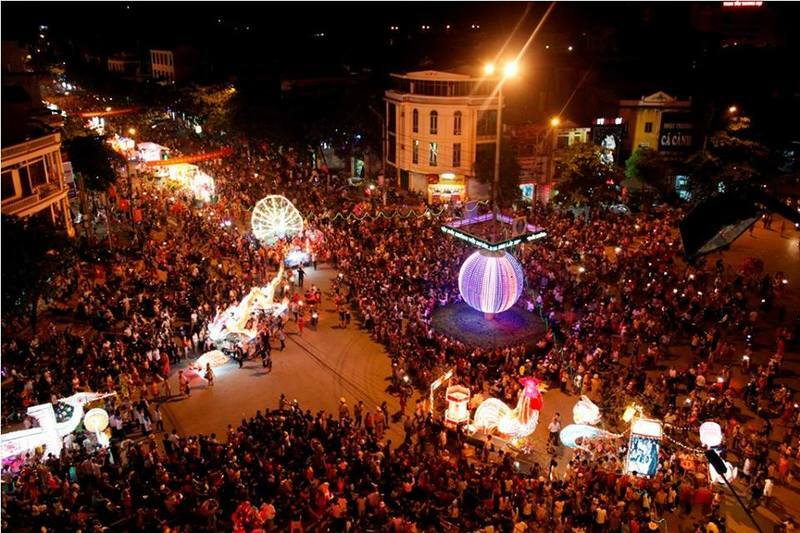 In view of the large number of Catholics in Vietnam, Christmas is also celebrated. Ancestral worship plays an extremely important role in the lives of many Vietnamese. An altar, occupying a place of honor and prominence in many homes is dedicated to ancestors and serves to maintain a close link between past and the future. Dance is considered an important form of secular education expressed within the family on social or community life or in village or ethnic communities by young and old alike. Like a great many artistic manifestations, many dances disappeared with the war. Specific dances like the Cheo (performed with sticks) which used to flourish in the plains is choreographically inspired by rural scenes. In the mountain areas dances differ according to the ethnic group and are performed mainly by women, where gesture takes precedence over foot movements. Vietnam has an ancient drama tradition. Taking characters from actual history, it depicts them in mime or song. Theatre takes a number of forms depending on the region. In the North, itinerant troupes wearing traditional costume are known as the Hat Bo. In the South, the Keo manifest considerably more modern forms of expression. Money Exchange: Ensure you have US dollars cash or US dollar travelerÕs cheques before arriving. Most hotels are able to exchange US cash into local currency but traveler cheques need to be exchanged at a bank. At time of writing the exchange rate was 1 USD = 15,000 Vietnamese Dong (VND). US dollars cash is widely used in Cambodia. 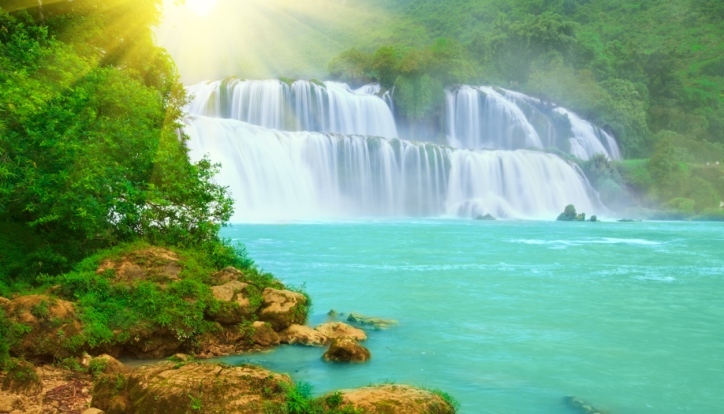 Vietnam has a tropical monsoon climate that varies significantly from the north to the south.